Photo by professional photographer John Lambrichts. 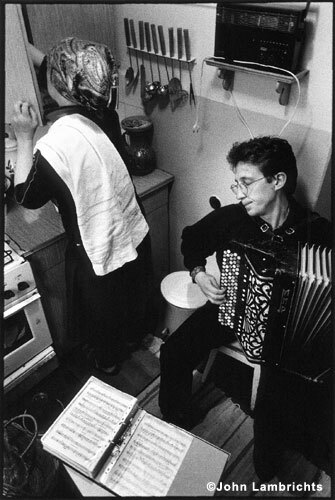 Here you can see, how I had to practise sometimes in the tiny kitchen with my mother arround. I couldn't do that in the other room at that time, for a woman upstaires was pregnant and mad about me polishing certain fragment of the piece hundreds of times! Following this link you will see different works of John as well as an interesting story in pictures of our trip from international competition in Germany back to Ukraine: Klingenthal and Ukraine photo's.